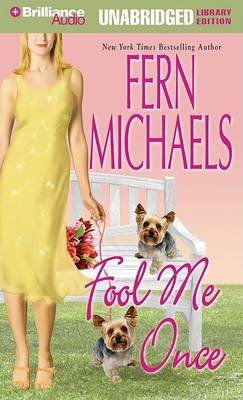 No other author plumbs the depths of the human heart - or portrays the joys of human redemption - quite like Fern Michaels. In Fool Me Once, she captures the fraught, yet richly satisfying story of one womana (TM)s search for the mother she never knewa ]and her discovery of the woman shea (TM)s yet to become. Olivia Lowell always believed her fathera (TM)s claim that her mother died in childbirth, until the shocking day a lawyer informs her that her mother has just passed away, leaving her a fortune. The money comes with a caveat - and a confession. In her will, Oliviaa (TM)s mother reveals that she and two college friends committed a crime long ago, and now she wants Olivia to track down her accomplices and convince them to come clean.